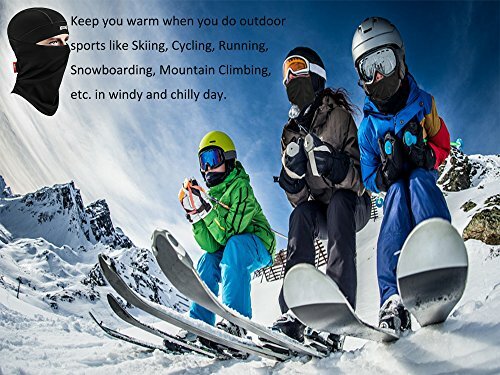 A POWERFUL HELPMATE IN WINTER: Will get crazy when chilly winter comes? Cannot stand the cold strong wind? 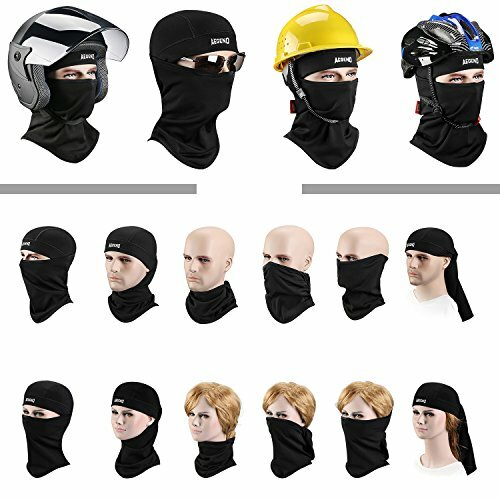 Now it’s time for a balaclava to save you! 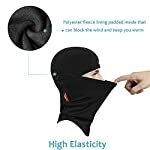 It, who with comfortable fleece, can provide you ultimate protection from extreme COLD, WIND BURN, DUST, UV RAYS and even MOSQUITO BITE. 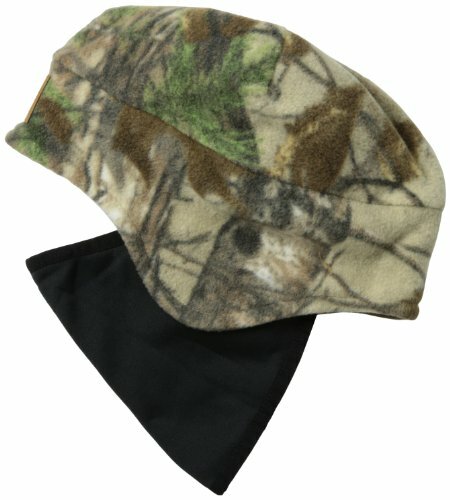 It is really perfect for keeping you warm and toasty all winter long.ONE SIZE FITS MOST PEOPLE. 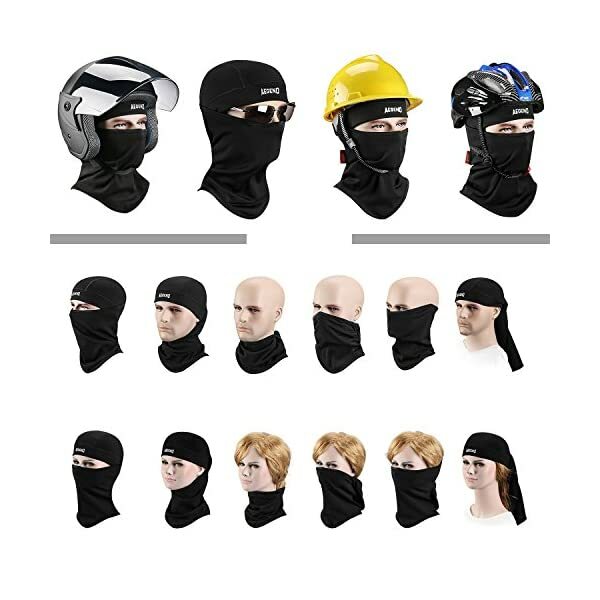 MUTIFUNCTION: Three equipments in one — 1 balaclava = 1 face mask + 1 hat + 1 scarf. 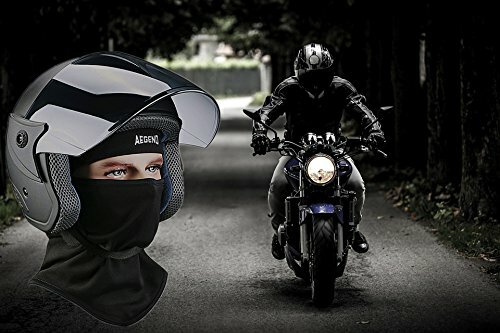 They can be also used as helmet liners without any trouble. So surely they serve a lot of purpose and will never forget to keep you warm. 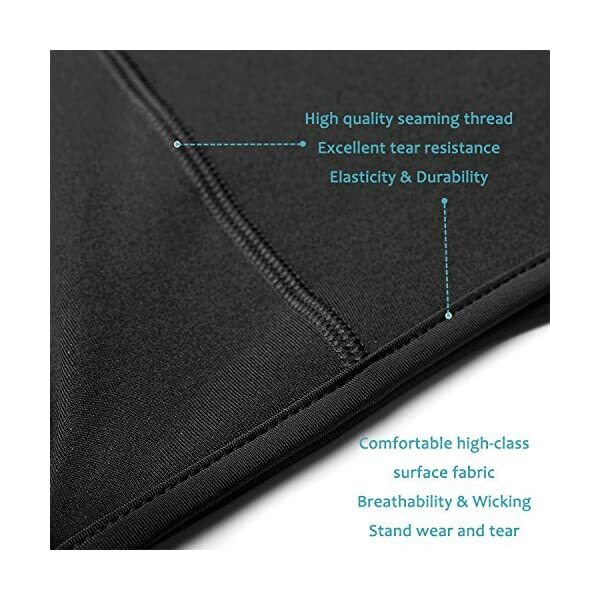 HIGH-CLASS FABRIC: The premium soft fabrics(88% polyester & 12% spandex) provide premium performance for Zero-pilling, Breathability, Durability, Wicking, Abrasion Resistance and anti-static function. 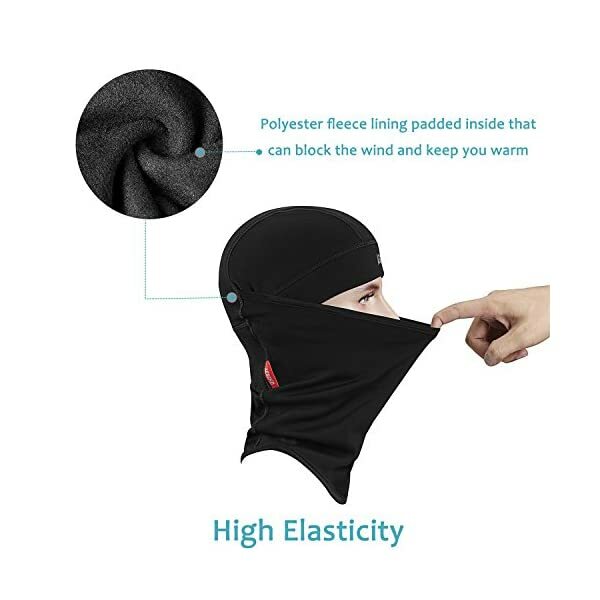 Also, they are SUPER COMFORT, LIGHTWEIGHT, PACKABLE and MACHINE WASHABLE. 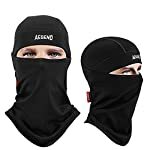 * Why our balaclavas are strongly recommended to you? — With top of the range, soft and comfortable fabrics, never scratch your skin. — Lightweight but thick enough to keep you warm. –You’ll easily put it on and cast it off. 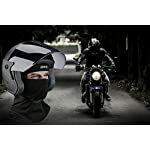 — Fit comfortably under helmet and do a great job at blocking the wind, dust, UV rays and even reducing wind noise even as riding. –Stable on your head, keep you warm and comfortable. 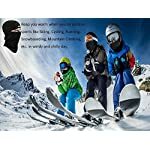 — Can be used in multiple occasions, such as Skiing, Motorcycling, Cycling, Running, Snowboarding, Trekking, Mountain Climbing, Tactical training, Hunting, Camping trip and other outdoor activities. — Versatile: designed for men, women, youth and kids. Having been hooked on these cool balaclavas? Wanna make your world be different this winter? Do not hesitate, just buy it, it worthy of you! * Agree with us, We will be able to not let you down! 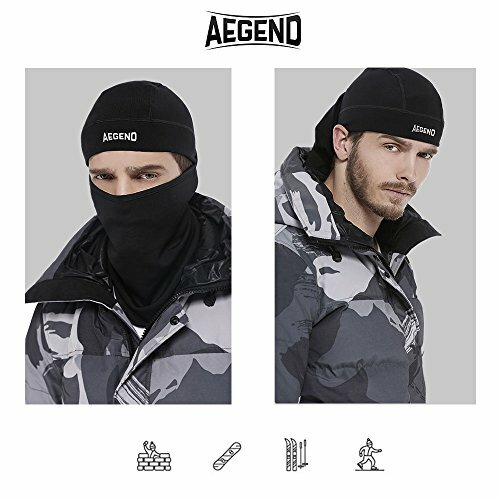 All of our Aegend products are provided 12 months guarantee! 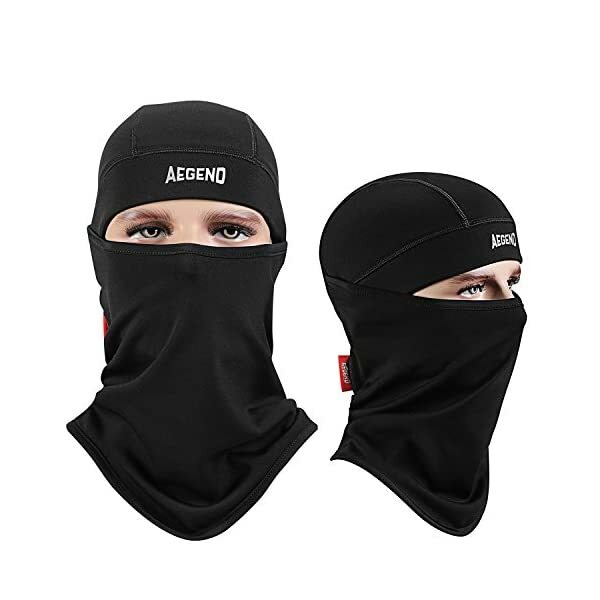 If you don’t absolutely love your new Aegend Balaclava, We will be able to replace them or refund your full purchase price — no questions asked! 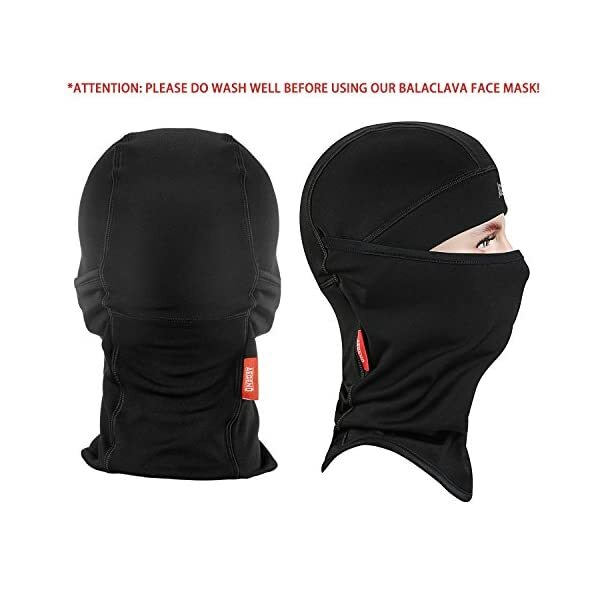 If you are skeptical about purchasing our products, if you don’t seem to be satisfied with the product you received, if you have any issue to propose,you are warm welcomed to contact our service team. We will be able to spare no effort to provide solutions right off the bat. 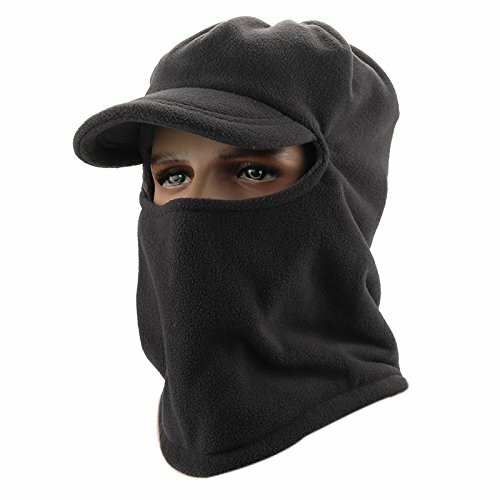 MUTIFUNCTION: Three equipments in one — 1 balaclava = 1 face mask + 1 hat + 1 scarf. 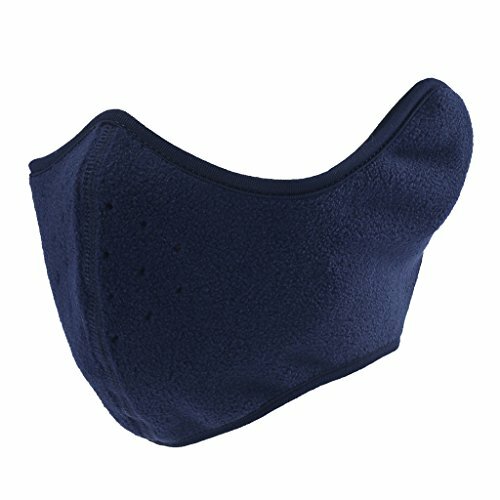 They are able to be also used as helmet liners without any trouble. So surely they serve a large number of purpose and will never put out of your mind to keep you warm. 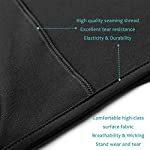 ARTICULATED SEAMING: It’s hard for them to ripped off! 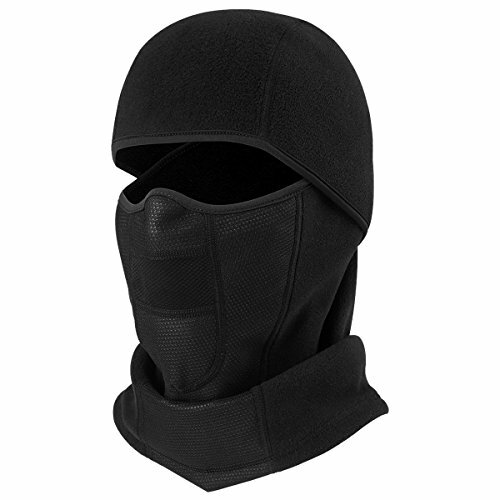 Our balaclavas are elaborately sewed with top of the range seaming threads, which enhances their TEAR RESISTANCE. In addition, they are going to never scratch your skin. You are ensured with genuine pleasure to wear them. 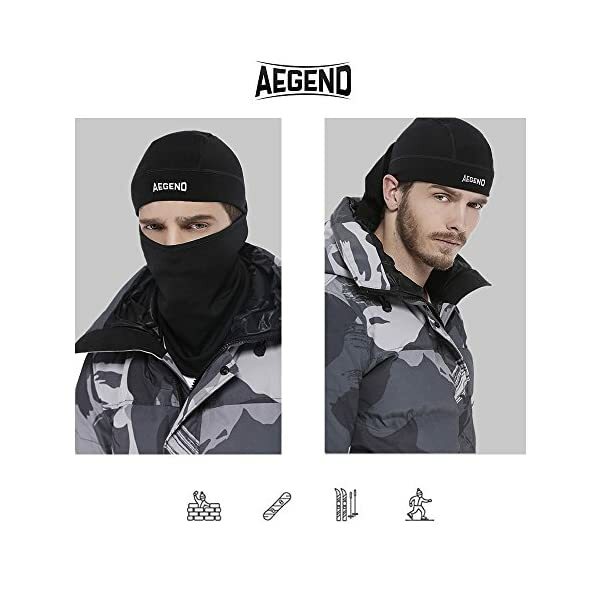 SIMPLE IN DESIGN: Our low profile designs fit comfortably under clothing, and the pure black color ensures our balaclavas be the joker pattern that can match almost each kind of design and color of clothes. 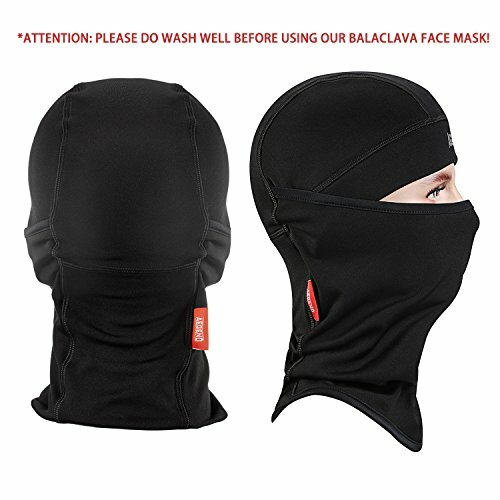 ATTENTION: PLEASE DO WASH WELL BEFORE USING OUR BALACLAVA FACE MASK!